A third jersey, alternate jersey, third kit or alternate uniform is a jersey or uniform that a sports team wear in games instead of its home outfit or its away outfit, often when the colors of two competing teams' other uniforms are too similar to distinguish easily. Alternate jerseys are also a means for professional sports organizations to generate revenue, by sales to fans. Of North American sports leagues, the NFL generates $1.2 billion annually in jersey sales, with the NBA second selling $900 million annually. Another use of the alternate uniform is for identifying with causes, like the Central Coast Mariners wear an alternate pink kit on pink ribbon day. 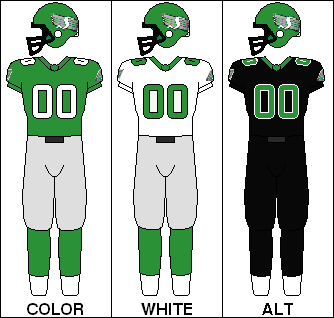 Extra alternate uniforms or fourth/fifth kits are not commonly used, but are sometimes required when teams' other uniforms cause color clashes, or the uniforms are unavailable to use. In cases where teams have worn more than three kits in the same season, the extra kits were usually recycled from previous seasons. Third-choice jerseys or uniforms are used in all four North American major professional sports leagues, and in college sports. Third kits are commonplace in professional European association football and in some professional European rugby union clubs. Alternate guernseys or jerseys are common in Australia's two biggest domestic leagues, the Australian Football League (Aussie rules) and National Rugby League (rugby league).